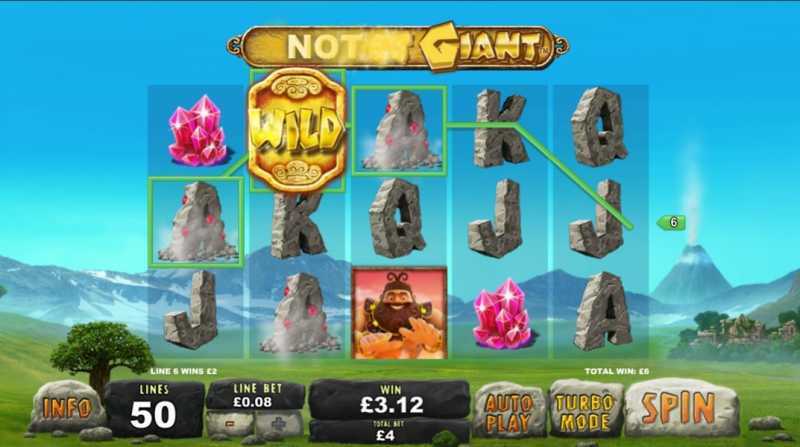 Visit the land of giants and volcanoes in Jackpot Giant’s colourful and stylish slot. 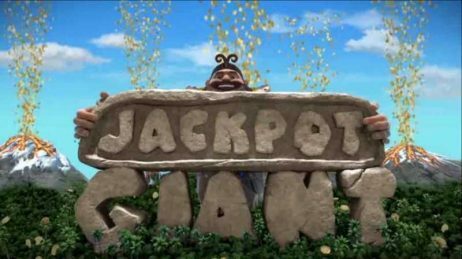 Whilst playing with volcanoes isn’t particularly advisable, you’ll be hoping you hit the bonus rounds and have the giant make fountains of coins erupt from them. 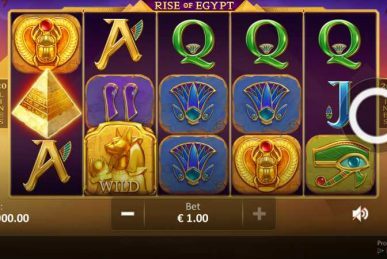 This 5 reel and 50 payline slot is a modern progressive slot that will entice plenty of players to seek their fortune, but do you have what it takes to win the favour of the giants? The game’s wild is represented by a large gold ‘Wild’ symbol that replaces everything except the scatter and bonus symbols. 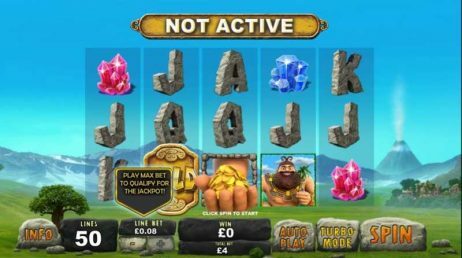 Land the Volcano bonus symbol on reels 1 and 5 to activate this feature. 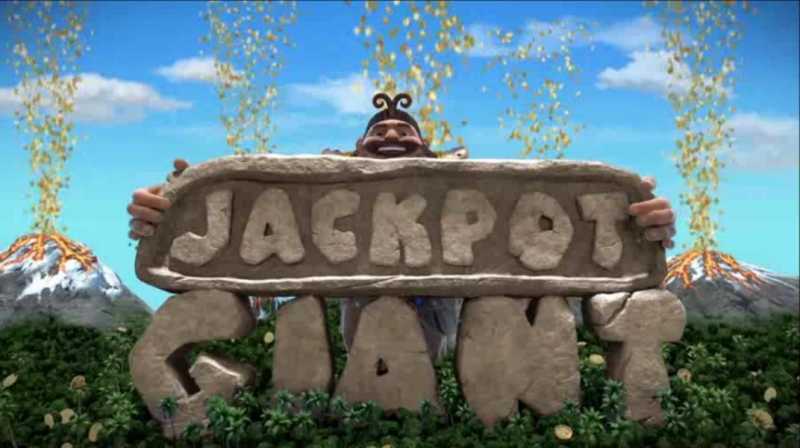 Players are taken to a pick and choose game, where they must select different volcanoes and the giant reveals the winning sum. Players must be wagering the maximum bet level to be in with a shot at the jackpot. 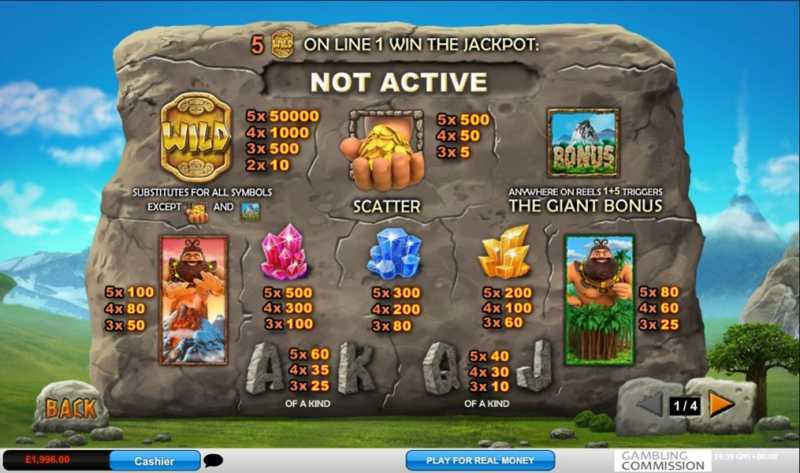 Land 5 of the gold wild symbols on payline 1 to take the top prize. 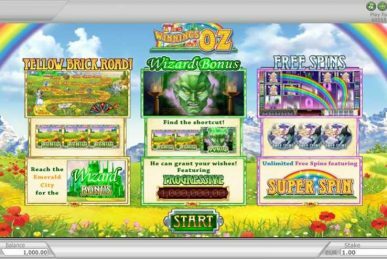 Jackpot Giant immediately stands out from its competition thanks to its bright and sharp graphics that dominate the screen. 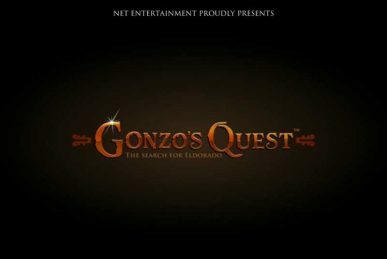 It’s an enjoyable game that’s worth a go, but lets itself down somewhat with a surprising shortage of bonus features.